If you've been following along with She Well for the past few months, you've probably noticed that I've been on a bit of a homemade protein bar kick. It all started over the summer when I realized I was spending close to $40 a month on protein bars. As someone who is always on-the-go and likes to carry healthy sustenance at all times, I knew I needed to find a way to remedy this. Inspired by the bars I love so much, I started a protein bar series where I release a new flavor each month. Since last month’s chocolate peppermint protein bites were such a hit, I decided to deviate from the bars and make these easy no-bake freezer bites! This month’s flavor? Lemon Ginger! I don’t have much to say about these bad boys other than that they are truly delicious (and nutritious!) Both lemon and raw ginger are chock-full of vitamins and minerals - perfect for keeping good health this winter and illness at bay! 2. 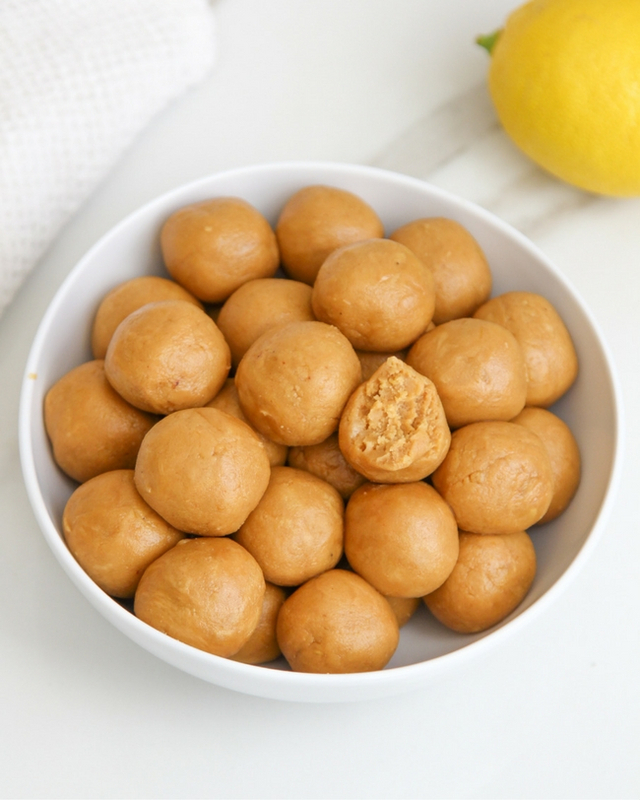 Roll the chilled dough into individual balls and store in the freezer. * If you wish to take these on-the-go, I recommend baking them into bars. These balls will not stay intact if you take them out of the freezer. You can find directions for that here.